This morning’s ASP official assessment of three-to-four foot waves with light winds was an improvement on yesterday’s conditions. 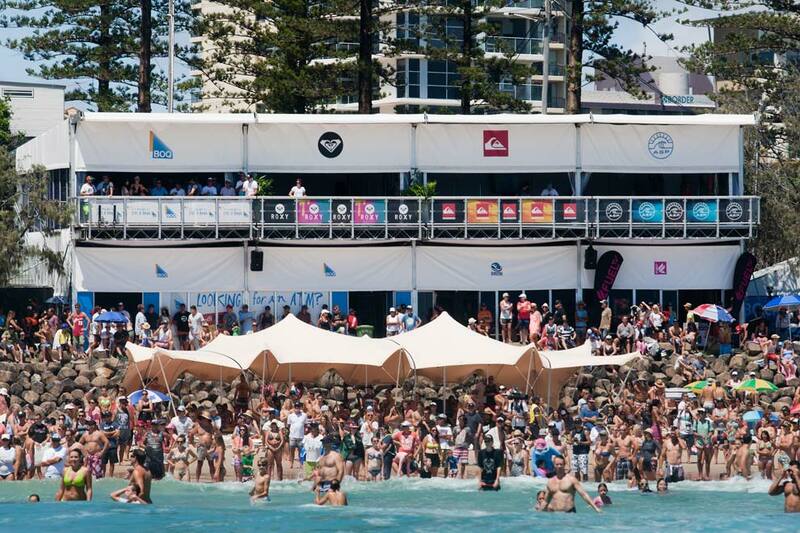 Sunny skies and bikini weather pulled the crowds ready to be impressed and go the full 12 rounds. Opening the heats were Julian Wilson, Jeremy Flores and Travis Logie. Logie's backhand punctuated the pockets of the punchy righthanders, while Flores' speed, power and repertoire impressed the judges on the panel to advance him into round three. Taj Burrow utilized his veteran experience with cautious wave selection in heat two, waiting nearly 10 minutes to open his campaign. His opening scores would prove enough for the opening heat win of 16.17 against Miguel Pupo and Dion Atkinson. Fredrick Patacchia was lethal on his backhand in the Snapper walls, opening with a 7.33 and capitalizing from there, winning heat three against Brett Simpson and Jordy Smith. Parko, comfortable at his local break, was up against fellow veterans Bede Durbidge and Tiago Pires on a dropping tide and inconsistent conditions in heat four. Parkinson found a long set wave in the final minutes allowing him to unload his impressive repertoire and earn an excellent 8.93 for his efforts. Winner of the trials to score the wildcard, rookie Matt Banting, was up against Kelly Slater and Matt Wilkinson in heat five. Banting pulled out his forehand moves but was no match for Kelly who advanced directly through to round three. Another highly anticipated wildcard, Dane Reynolds took on reigning three-time ASP World Champion Mick Fanning and powerhouse Adam Melling in heat six. Reynolds explosive performance advanced him directly into round three. Heat eight welcomed improved conditions with the change in tide. Nat Young, 2013 ASP WCT Rookie of the Year, would pick up where he left off, leading the heat from start to finish against Sebastian Zietz and Aritz Aranburu. Highest score of the day, 17.54, was by Josh Kerr in heat nine. He blended airs, barrels and full-rail turns outscoring Filipe Toledo and Mitch Crews. As the tide rolled in the Superbank improved and allowed John John Florence, Gabriel Medina and Jadson Andre to smash out some aerials in heat 9. Medina’s backhand airs and explosive snaps grabbed him the heat. The final heat of the day featured the highly anticipated return of Owen Wright alongside Michel Bourez and Kolohe Andino. The deteriorating conditions would see Bourez in the final minutes of the heat get the best of the affair to advance directly to Round 3. Tomorrow’s forecast for round two looks like similar conditions to today. See you at 7.30am local time for the morning call!